On 17 December, heavy clashes occurred between LNA forces and Derna Protection Force (DPF) remnants in Derna. On 11 December, the BDB took control of a checkpoint in Abu Grein. The war between Misrata and ISIS is heating up. Simultaneously, Haftar has not engaged ISIS in any meaningful way this week. Although most of the talk of offensives against Sirte is comprised of hot air, real engagements have started to kick off on the Misratan side and these are likely to occasion countermeasures by ISIS. For example, On 22 May, landmines left by ISIS near Abu Grein killed an LNA officer and wounded two soldiers. On 11 January, a would-be ISIS bomber surrendered himself to al-Bunyan al-Marsous (BM) forces after defusing the bomb he was instructed to detonate. On 14 January, BM forces arrested an Egyptian who was allegedly hiding and transporting ISIS fugitives out of Sirte. On 23 August, Islamic State (ISIS) fighters attacked the Libyan National Army (LNA)-controlled al-Fugaha checkpoint in Jufra. Eleven victims were beheaded. On 27 August, Amaq released a new video showing two abductees and featuring several ISIS fighters guarding a checkpoint on a road near Jufra, south of Sirte. This week witnessed the slowing momentum of the Government of National Accord’s (GNA) anti–ISIS operation in Sirte, as fierce ISIS counterattacks stalled the operation’s advance. This development is chiefly attributed to two factors: 1) ISIS is beginning to push back on the Bunyan Marsus advance inside Sirte, successfully and repeatedly hitting GNA forces behind their own front lines, and 2) the ‘defection’ of the hardline Islamist factions (e.g. Benghazi Defense Brigade) and other associated militias. 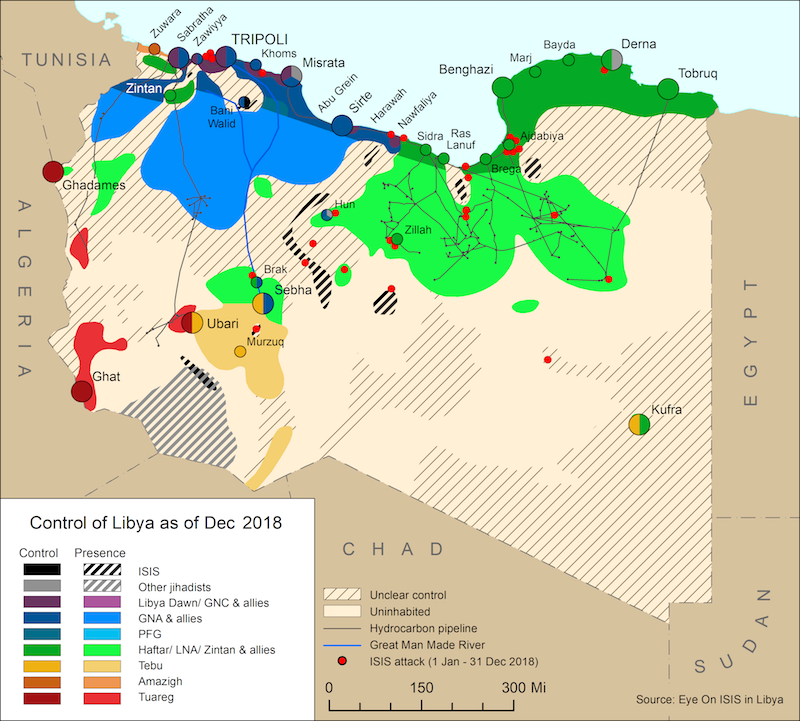 Despite the setbacks suffered at the start of the GNA’s Misratan-led operation to liberate Sirte, as well as the high number of causalities already sustained, militias from Misrata and western Libya continue to join the effort. 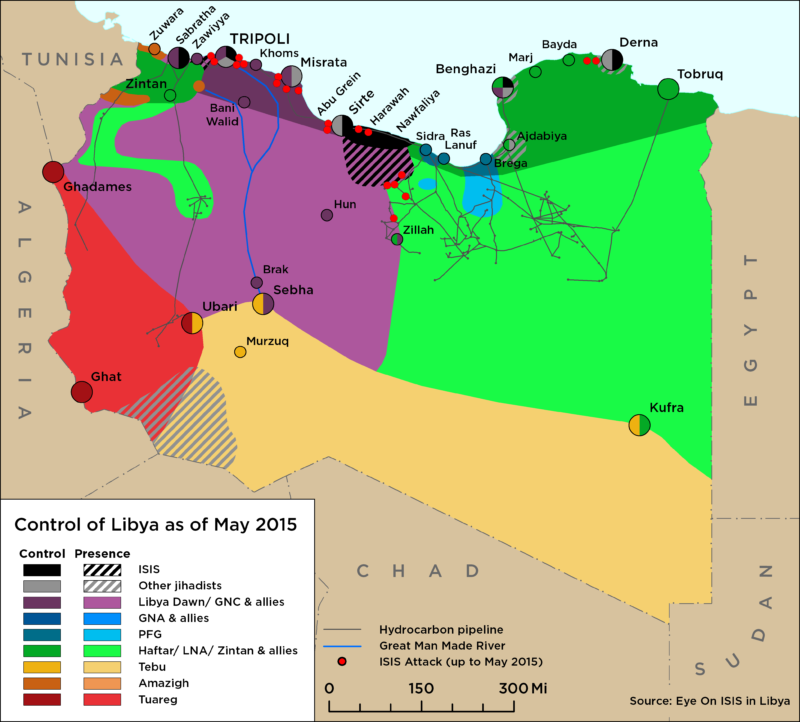 On 18 May, ISIS outflanked the Misratans at Al Wishka and Buwirat Al Hasoun. Thirty-two fighters from the Bunyan Marsous Operations Room were killed in Buwirat Al Hasoun, and another 50 were injured.